Baby Chilli nappies: Nappies on SALE! From now until Sunday 20th January (Awe my wedding anniversary) there will be a super sale on all our Baby Chilli Modern Cloth Nappies! 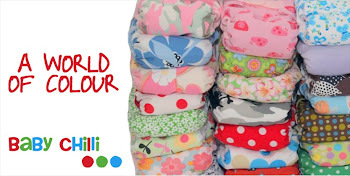 Get yourself $6 off all nappies so that brings our Baby Chilli All Together Pockets down to an awesome $27 each! Plus our every fabulous Chilli Frilli's for only $39 each! Don't forget to also check out our super absorbent bibs and fantastic adjustable swimming nappies also! Online buying can save your good amount time & money. online you get great deals, like the one you shared. online modern cloth nappies are available in different sizes. It’s good to get this useful blog of nappies that are available in sale and modern cloth nappies are also useful to buy.